On the scale of sticky stuff, gecko feet are right near the top of the list. They can cling to just about any surface and never lose their clinging power. Humans have been studying them for decades to try to understand just how they can do the amazing things they do. Now, researchers at Carnegie Mellon University and Germany’s Karlsruhe Institute of Technology are trying to recreate the stickiness of the gecko foot in a reusable tape that will never lose its ability to stick. 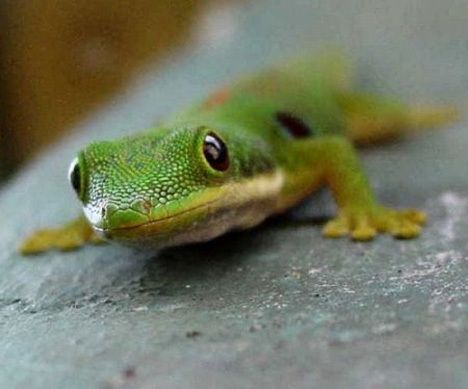 The secret to the gecko’s foot stickiness that never wears out comes down to tiny hair-like structures called setae. When a gecko foot adheres to a surface, the setae form a temporary molecular bond with that surface. But when the gecko takes another step, it creates friction by dragging its foot across the surface. Dirt and little pieces of debris – which would continue to stick to tape and eventually remove all of its stickiness – simply roll off of the setae or get pushed into the folds of the gecko’s skin. This ability to the setae to easily slough off debris they pick up along the way is what keeps gecko feet infinitely sticky. 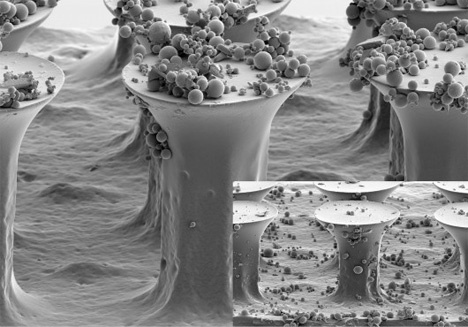 The team of researchers replicated the forms of setae by creating elastic microhairs. 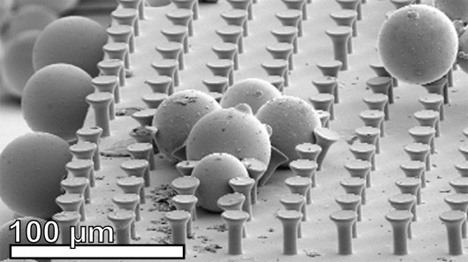 They stuck sheets of the synthetic setae onto sheets covered in microscopic debris, then replicated the press-slide-press movement of a gecko’s foot. While the initial tests didn’t recreate the never-ending stickiness of the gecko foot, it showed amazing promise. Besides reusable sticky tape, the self-cleaning adhesive could be used for clothing closures and medical applications – along with who knows what else in the future.